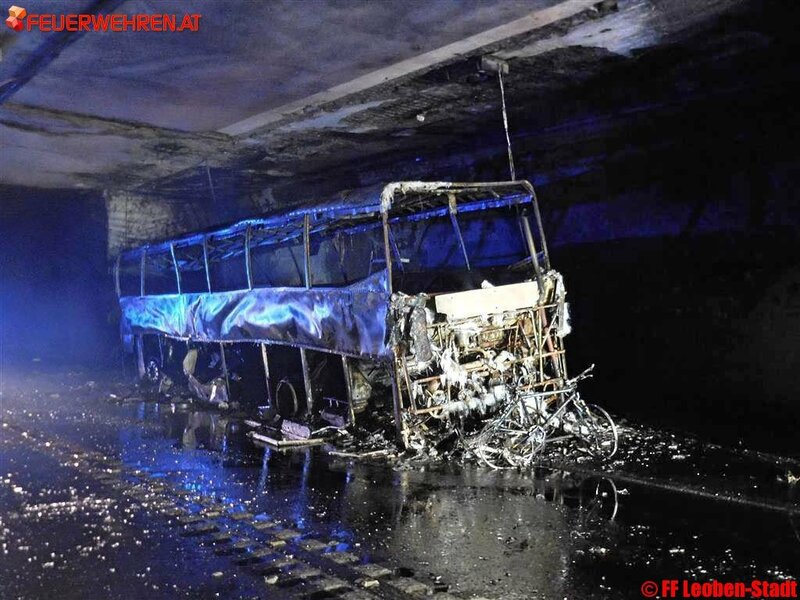 Major delays on diversion as Austria’s A9 Phyrn autobahn Gleinalm Tunnel closes after bus fire. And, extremely near miss as plane crashes on Bergamo airport road. Haulage association in public appeal after continuing migrant trouble on Calais port road. Bus fire burns out ceiling on major north-south single lane tunnel. The Gleinalm Tunnel, on the major A9 Pyhrn Autobahn in central Austria will be shut for at least the next month after a bus fire. The double decker set alight last night (Thursday) and could only be removed this afternoon. The roof above was completely burned through and will have to be totally replaced. Several people were taken to hospital suffering the effects of smoke inhalation but all are expected to recover. Police praised the ‘correct behaviour’ of drivers and said the safety systems worked perfectly according to roads manager ASFINAG. Diversions have been set up in both directions – on the A2 and A10 via Villach northbound and S6 and S35 via Leoben southbound. There were multi-hour delays on S6/S35 this afternoon, as reported by James Stock. Gleinalm is one of Austria’s longest tunnels at 8.32km, on the A9 between Leoben and Graz. It currently has one lane in each direction though a second tube is in-build alongside, due to open next year. The original tunnel will then close for renovation with both due in service in 2019. Update 9 August: ASFINAG said today that Gleinalm will reopen in four weeks. Contractors will work round the clock to replace the damaged ceiling section plus fire detectors, alarms, lighting and traffic signs at a cost of €500,000. Luckily the road itself was not damaged. Delays on the S6-S35 diversion settled down over the weekend. roundup: a migrant threw a ‘boulder’ through the side window of a car belonging to a staff member at the RHA Road Haulage Association on the port road in Calais on Wednesday night. ‘Had this been a car with a family on board, probably with children in the back seats, they would have been killed,’ said RHA chief exec Richard Burnett, adding, ‘We strongly urge HGV drivers and members of the public who experience such acts of aggression too get in touch with us through the Calais reporting line on (+44) 1274 863111. Only by getting first-hand information can we make a difference and get this issue back at the top of the political and media agenda.’ The port road is site of near nightly incidents with migrants. Local reports yesterday said migrants were lying across the road in an effort to stop trucks and stowaway to reach the UK. The port road was closed by police for some hours early Thursday morning according to DFDS.